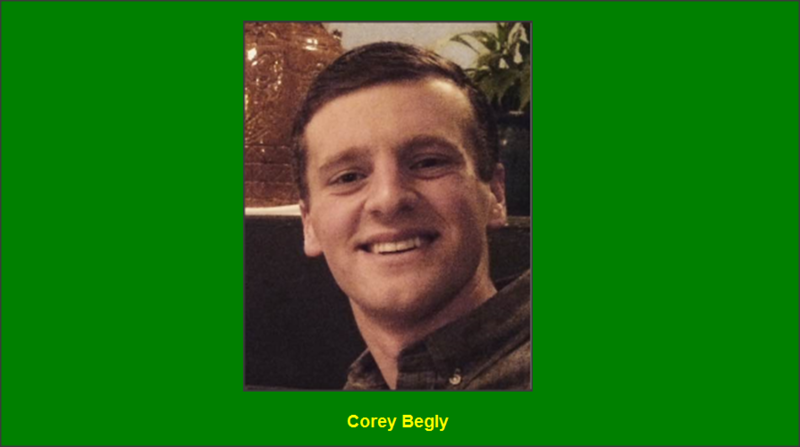 Corey grew up in Geneva, NY and currently lives in Bath, Maine, where he is a high school history teacher and head boys varsity basketball coach at Hyde school. As the LIT director, Corey creates the program for the oldest campers at Echo Lake (going into 11th grade). One of the most important (and fun) responsibilities of the LITs at Camp Echo Lake is the coordination of Tribal War. This is always one of the most exciting events at Echo Lake. Corey loves organizing and “bringing the juice” every Sunday while cheering for both the IROQUOIS and MOHAWKS. This summer, Corey will entering his second summer as the LIT director, with a group of campers he knows very well. He is looking forward to sharing some surprises and exciting tweaks to the program that he will be implementing this summer! I have spent 18 “official” summers at Echo Lake. I was born in May of 1990, and in June, I went to camp for the first time with my parents (Glenn and Terry), who met (and currently still work) at camp. I was blessed to have had the opportunity to grow up at camp. I was able to experience many different activities, and learn how to enjoy life to the fullest. I remember not only growing up with my family, but also my camp family—a large, supportive and energetic group of people. Echo Lake is special because of the atmosphere of support. You can be anything that you want to be at camp. It is a fantastic example of a safe and nurturing environment. Camp Echo Lake also affords campers and staff the opportunity to discover their unique potential, which is invaluable to future development. I work at a private boarding school in Bath, Maine. I am a history teacher/ head boy’s varsity coach. I love to travel (taking a trip to Belgium, Germany and the Netherlands in March), coach and explore the untouched areas in Maine. I also enjoy reading and bathtubs (sometimes a combination of both). Morning lineup, Echo-Mania and Sachem hoops (in no particular order). Even though it’s not an activity, I really like taco lunch also. My fondest memory of Echo Lake took place last summer. I was fortunate to be able to work with a group of LITs who were my campers when they were just 9-years old. To be given the opportunity to work with this group throughout the years and watch them grow has been extremely powerful. Since my family has such strong ties to Echo Lake, I have gotten to spend time with them in a camp setting, where we have made many memories together.